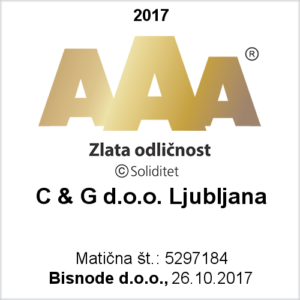 C & G d.o.o. 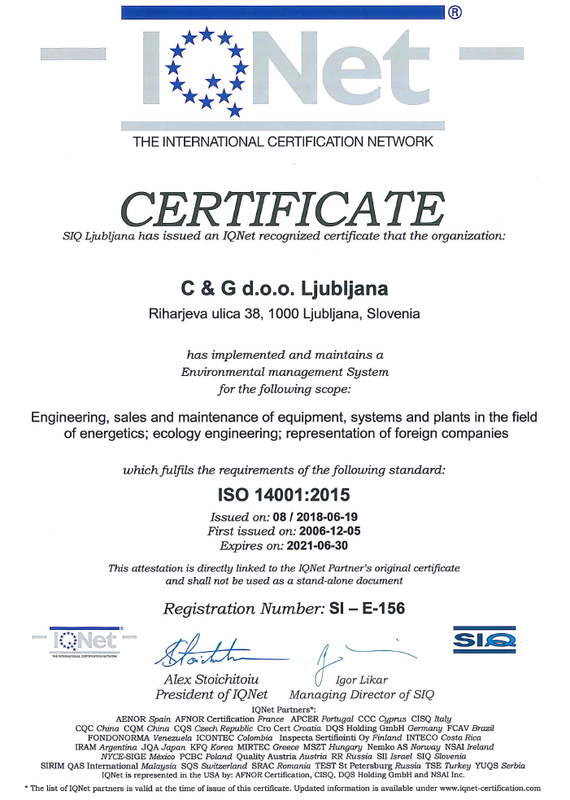 Ljubljana regularly monitors and consistently complies with environmental regulations that are relevant to our activities in the area of power engineering and ecology. Environmental policy is the basis for constant improvements in the efficiency of the management system and organizational culture. providing funding for the implementation of environmental programs. indirectly reducing the influence on the environment by collecting and removing hazardous waste in the field of energy and industry. The quality of the entire business is crucial for successful long-term business performance of the organization. When managing the overall quality we need to take into account all the factors that may in any way affect the quality of business procedures, projects, products or services. Our goal is to adjust to specific customer or market needs and ensuring long-term success of business operations. Human resources are the most important source of planning and carrying out various tasks, so they will without a doubt contribute the most to our efforts to improve the quality of business operations. All employees are aware of this and have incorporated this knowledge into their daily operations. Providing necessary information to employees at all levels of the organization. 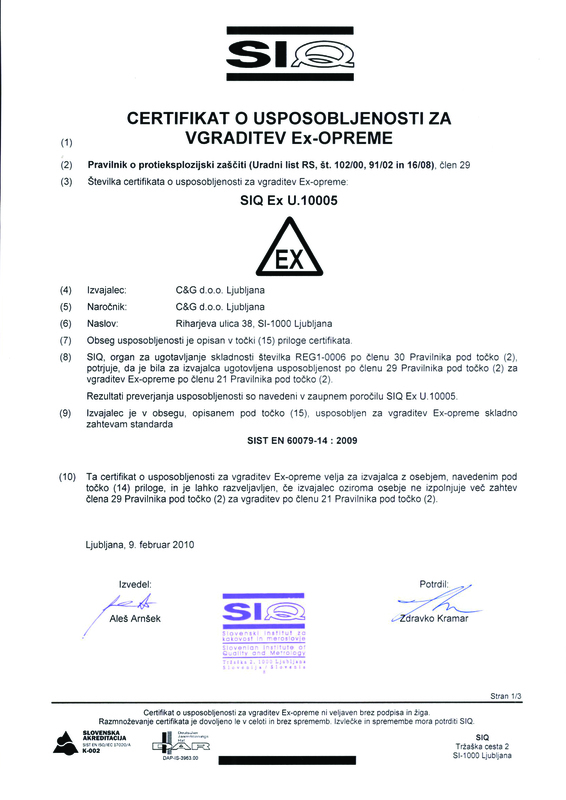 Our organization ensures the quality in the field of training workers for installation, maintenance, servicing and repairs of Ex equipment in accordance with EN 60079-14:2009, SIST EN 60079-17:2008 and EN 60079-7:2009. 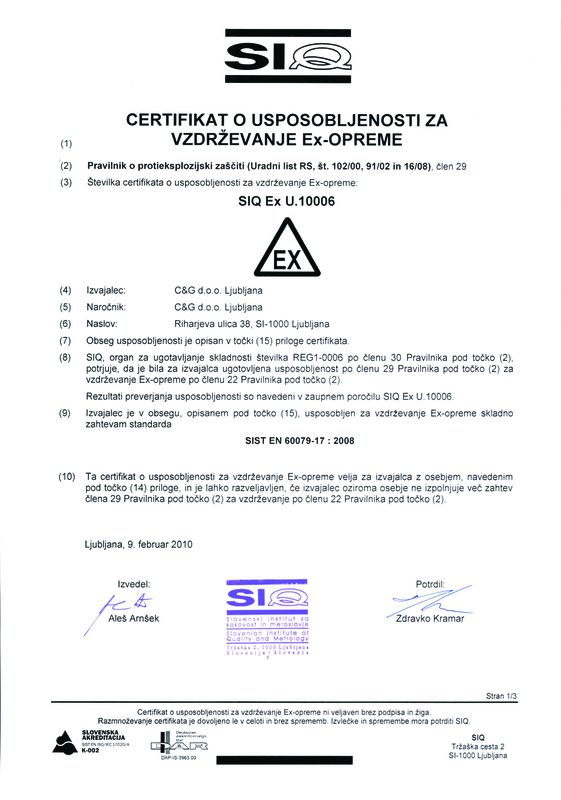 To fulfil the requirements of the contractor Nuclear power Plant Krško (NEK), our organization harmonized quality assurance of its products and services with the requirements of standards 10CFR50 Appendix B and 10CFR21. Our commitment to quality assurance guarantees that the products and services are in accordance with the requirements and expectations of customers, as well as domestic and international standards. We guarantee quality at all stages of the business process. 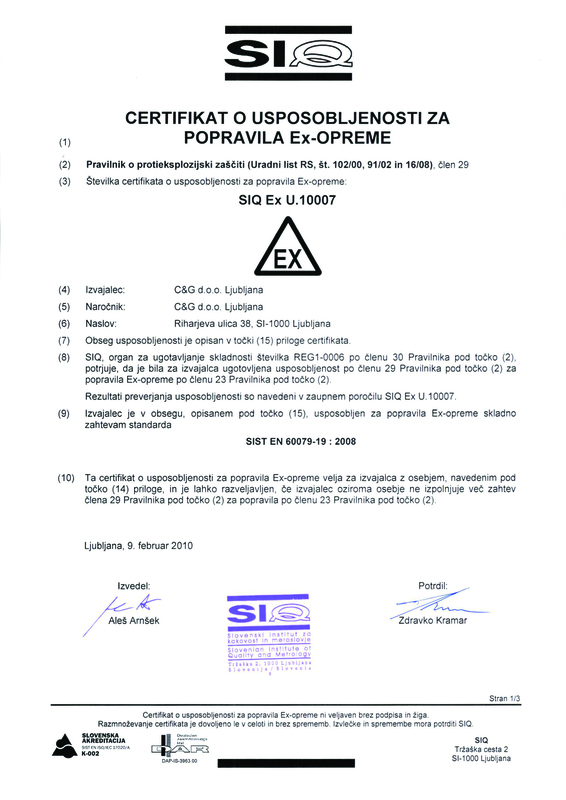 Our quality control and environmental management system is based on the requirements of the international standards ISO 9001: 2015 and ISO 14001:2015. We follow the principle that all workers are responsible for the quality of their work; therefore, they must fully satisfy the requirements of both external and “internal” customers and associates in the business process. We motivate quality with regular educations. 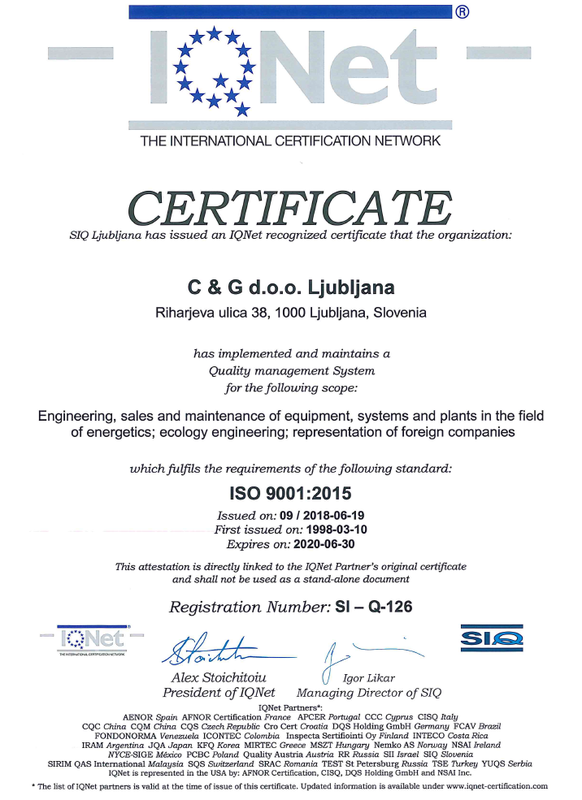 We are committed to fulfilling the requirements and continuously improving the efficiency of our quality control system. All employees are acquainted with the quality policy and we check their compliance thereof with regular management reviews.